Israeli Arabs don't have to sing the anthem if they find it difficult, but this is no reason to give up singing it altogether. Opinion. Anyone who was surprised by the Hebrew University's decision not to play the national anthem "Hatikvah" at a university ceremony apparently does not know the DNA of this important and respected institution. The heads of the Hebrew University have been the extreme left-wing of Jewish society in the Land of Israel for more than 90 years. Brit Shalom, the ancient equivalent of the extreme Left today, was born there, among the founders of the Hebrew University, who were literally giants in their various fields, but very poor real-politicians. Speaking of the anthem, you have to remember that national anthems are not a simple matter in many countries, and they still cherish them, play them, and sing them. For example, atheists in Britain sing the "God Save the Queen" anthem, although for them it is a meaningless text, and Jews sing it even though the "Lord" is a very Christian term for G-d. The French anthem, the Marseillaise, is all blood and fire and smoke, at a level that can cause anyone with a sensitive soul to feel nauseous while singing it. Nevertheless, French children are already learning it in kindergarten. The Swiss anthem is a very Christian song of praise to G-d in its entirety. That makes it even more of a problem for the atheists of Switzerland than "God Save the Queen" is for the British, and also apparently not easy for Jews living there, but we have not yet heard of cases of anthem refusal in Switzerland. In Canada, the French version of the anthem explicitly includes the cross. A Jewish organization requested removing the reference to the cross before the granting of official recognition for the song as an anthem , but the request was denied. Nevertheless, as far as I know, the anthem is also played in events where non-Christians participate. The Star-Spangled Banner, the anthem of the United States, is a remarkable combination of hard militarism and an appeal to the Lord. Since the Lord of the American anthem is very universal, and not Christian in nature as is customary on the old continent, Jews can get along well with it. Atheists and pacifists - less so. I could have gone on with many more examples, but I think the principle is clear. This anthem is not a song about flowers and roses. Many anthems do not go down easily if you read the words and understand what they mean. In general, this entire story of "hurting feelings" is very fashionable in the postmodern era, but in the end it is contemptuous of those whose feelings are allegedly hurt. The late Minister Uri Orbach often said, "The problem is not my emotions; my positions are the issue, not the emotions." 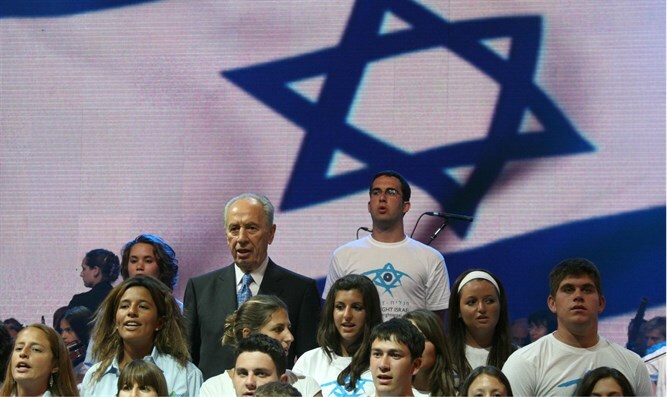 "Hatikvah" is the anthem of the State of Israel, even if it is not easily sung by some of Israel's citizens. On the other hand, I am also against the "Lips Police" who check who sings the anthem and who does not at every event. It is the right of someone who feels that the words do not suit him not to sing, but that is where it ends.